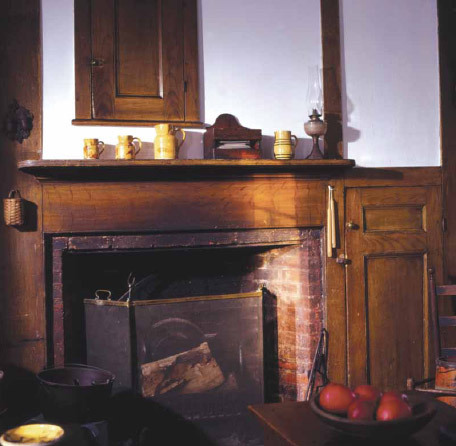 The old kitchen fireplace is in the original building, now an ell behind the brick manse. Since its original section was built ca. 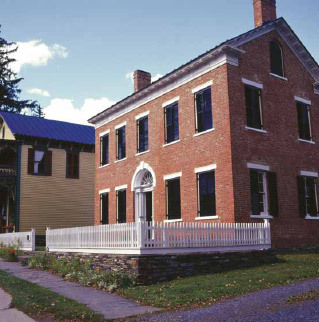 1800, owners have cherished this house in the center of Oak Hill, New York, a small town in Greene County. The property was part of the Maitland Patent, land granted by George III in 1767. In 1794, it was conveyed as Lot 34 to blacksmith Levi Austin Jr., builder of the original house. Brothers Lewis and Philo Hickok added the ca. 1832 brick manse that faces the street today, incorporating the vernacular structure as an ell. In 1846 they sold the property to Alfred Tripp, whose descendants lived here until 1958. 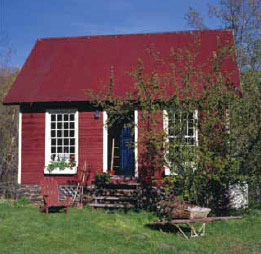 It is still known as the Tripp House. 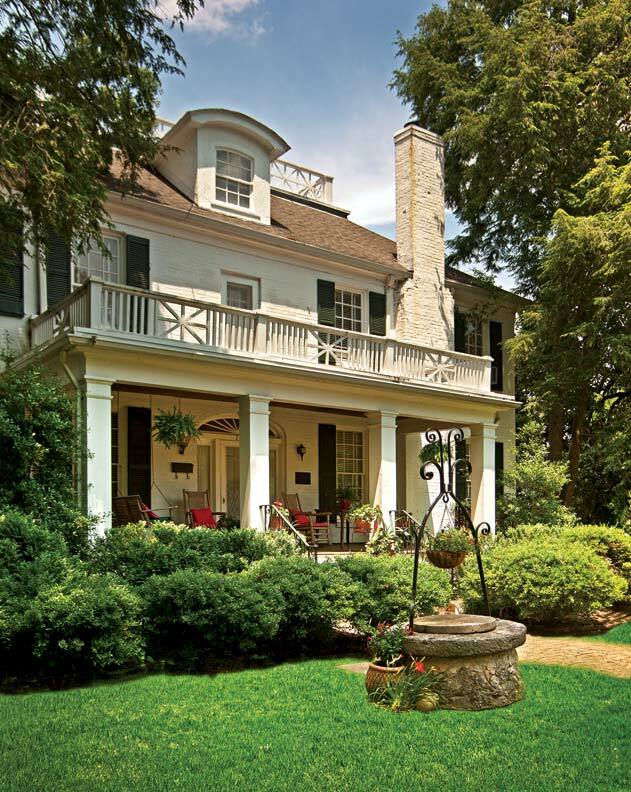 Then, in 1996, Nick and Mary Lou Nahas bought the house, appreciating its Federal façade and Greek Revival elements. They also bought the Victorian-era general store next door. Mary Lou’s son, Christopher Gordon, is a designer who provided invaluable help when she began to furnish the interior. The Federal facade probably dates to 1832; the building next door is the 1888 rebuilding of the general store that is part of the property. Different types of grain painting are found throughout the house, including door and window trim painted to resemble marble. 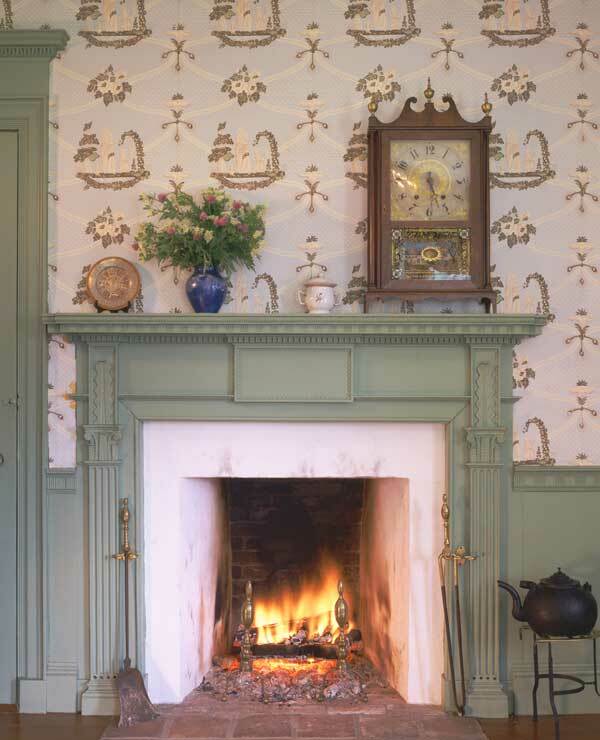 Nick and Mary Lou made the front hall’s black and cream-colored, diamond-checked floorcloth. The lady of the house made all of the curtains. 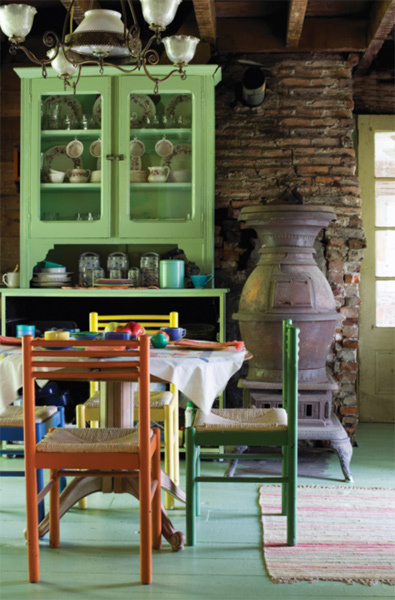 An ideal home for her favorite things, the house is filled with hooked rugs, early quilts and coverlets, primitive house paintings, and lace curtains hung on string. A carpet made by Family Heirloom Weavers runs up the stairs; Adelphi wallpaper borders distinguish two of the bedrooms. Period and reproduction furniture was carefully chosen to suit the scale as well as the age of the rooms. “We have a wonderful opportunity to learn about the 18th and early-19th century,” says Nick Nahas—a research scientist who has become Oak Hill’s town historian. As early as 1815, a document referenced a store next door. Although an 1888 store building stands there today, records indicate an unbroken history of home-with-next-door-store. When the Nahases bought the place, they continued the tradition: on weekends they sell antiques and collectibles from the store’s original interior, displaying dishes and textiles on the shelves and counters without anachronism. “I love the house, love the town, and I have always loved to play house and play store,” laughs Mary Lou.